The data of the cross–section is required for understanding nuclear reaction mechanism, developing and testing validity of available nuclear reaction models as much as it has been used in the applied fields of nuclear physics. Reliable experimental data is importance of comparison with theoretical nuclear model calculations for testing predictive ability. In the event that experimental data failure appearance, theoretical models are filling this gab for supplying with calculated data. Because of these reasons, both of experimental and theoretical studies need of each other. For a long time, theoretically studies have been carried out for proton total reaction cross section calculation. At the end of these studies, several analytical equations have been proposed by their authors. Comparison of the suggested equations and rearrangement for different value of parameters are enormously important for reaching successfully results. In this study, proton total reaction cross sections have been calculated for 112,114,116,118,120,122,124Sn isotopes using proton-nucleus interaction analytic equation that was proposed by M.A. Alvi. Also, optical model calculations carried out for same reactions by TALYS code. Excitation functions have been plotted with collected experimental data up to 80 MeV proton incident energy. Coefficient comparisons have been made via determined excitation function curves. The obtained results have been discussed by way of the excitation function graphics and compared with the available experimental data. Satisfactory agreements have been seen between calculated data and its measured equivalents. A validation of used theoretical model has been confirmed and tested via obtained results for these Sn isotopes and these energy ranges. 1. Alvi, M.A, Study of proton total reaction cross section using a Helm model nuclear form factor, Nuclear Physics A, 2007, 789, 73-81. 2. EXFOR/CSISRS (Experimental Nuclear Reaction Data) Database Version of June 13, 2016 Brookhaven National Laboratory, National Nuclear Data Center), http://www.nndc.bnl.gov/exfor/exfor00.htm (accessed 21.06.2016). 3. Glauber, R.J, In: Lectures in Theoretical Physics, vol. 1. Interscience, New York, 1959; pp 315. 4. 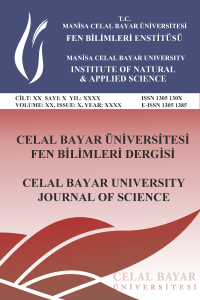 Büyükuslu, H, Kaplan, A, Aydın, A, Tel, E, Yıldırım, G, Calculation of Proton Total Reaction Cross Sections for Some Target Nuclei in Incident Energy Range of 10–600 MeV, Physics of Atomic Nuclei, 2010, 73 (10), 1700–1706. 5. Koning, A.J, Hilaire, S, Duijvestijn, M.C, TALYS-1.0, Proceedings of the International Conference on Nuclear Data for Science and Technology, 2007, April 22-27. 6. Koning, A, Hilaire, S, Goriely, S, Talys-1.6, User Manual, Nuclear Research and Consultancy Group (NRG), Petten, The Netherlands, 2013, December 23. 7. Koning, A.J, Delaroche, J.P, Local and global nucleon optical models from 1 keV to 200 MeV, Nuclear Physics A, 2003, 713, 231-310. 8. Friedrich, J, Voegler, N, The salient features of charge density distributions of medium and heavy even-even nuc-lei determined from a systematic analysis of elastic electron scattering form factors, Nuclear Physics A, 1982, 373, 192-224. 9. Charagi, S.K, Gupta, S.K, Coulomb-modified Glauber model description of heavy-ion reaction cross sections, Physical Review C, 1990, 41, 1610-1618. 10. Ahmad, I, Abdulmomen, M.A, Al-Khattabi, L.A, Alpha-nucleus total reaction cross section ın the rigid projectile model using microscopic n-α amplitude, International Journal of Modern Physics E, 2001, 10, 43-53. 11. Horiuchi, W, Suzuki, Y, Abu-Ibrahim, B, Kohama, A, Systematic analysis of reaction cross sections of carbon isotopes, Physical Review C, 2007, 75, 044607.